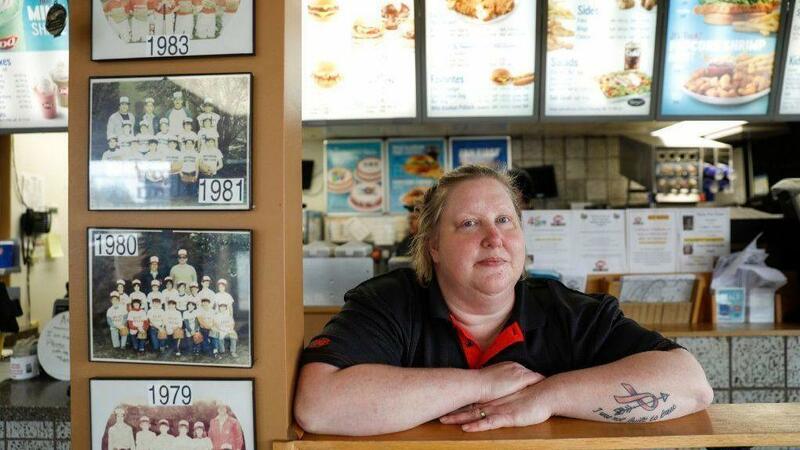 Jennifer Spencer, a Northbrook Dairy Queen franchise owner, has cleaned the restaurant thoroughly following the latest measles outbreak, but is still concerned about her potential exposure to the virus. Jennifer Spencer’s longtime customers began reaching out to her, worried about her, after news spread that a person with the measles had visited her business and about a dozen others along the North Shore and in Chicago in recent weeks. Spencer, whose family has owned a Dairy Queen in Northbrook for 45 years, just finished undergoing chemotherapy and radiation for stage 3 breast cancerabout six months ago. Adding to her worry, Spencer spent time with her newborn granddaughter the day after the person was at her business, before she knew she had been exposed. Cook County health officials said Wednesday that there’s no ongoing risk of catching the disease at the businesses the infected person visited. Measles can stay in the air for two hours, and the person, who has not been identified, visited most of the businesses about a week ago or more. But many of the businesses were rattled by the news, and spent part of Thursday talking with customers and employees.